Alicia graduated from Saint Louis University. She has fifteen years of professional experience assisting a wide variety of clients in solving their accounting problems and providing audit and tax services. She has worked extensively with insurance pools, closely-held businesses, trade association affiliates and governmental entities. 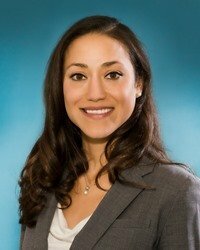 Alicia has assisted clients in establishing accounting control procedures, improving the financial reporting process, evaluating tax considerations and determining compliance with state and federal regulations. Alicia has achieved the American Institute of Certified Public Accountants credential of Accredited in Business Valuation (ABV) and has completed a variety of business valuation engagements for use in both business succession and tax compliance environments.